The Architectural Review and Environmental Compliance Unit administers the Federal Historic Preservation Tax Incentives Program and provides architectural review for federal and state projects or project funding affecting historic resources based on conformance with the Secretary of the Interior's Standards for the Treatment of Historic Properties. The California Office of Historic Preservation is the point of contact within the state for property owners wishing to use the federal historic preservation tax credit. OHP may also provide technical guidance before a project begins to make the process as expeditious and economical as possible. 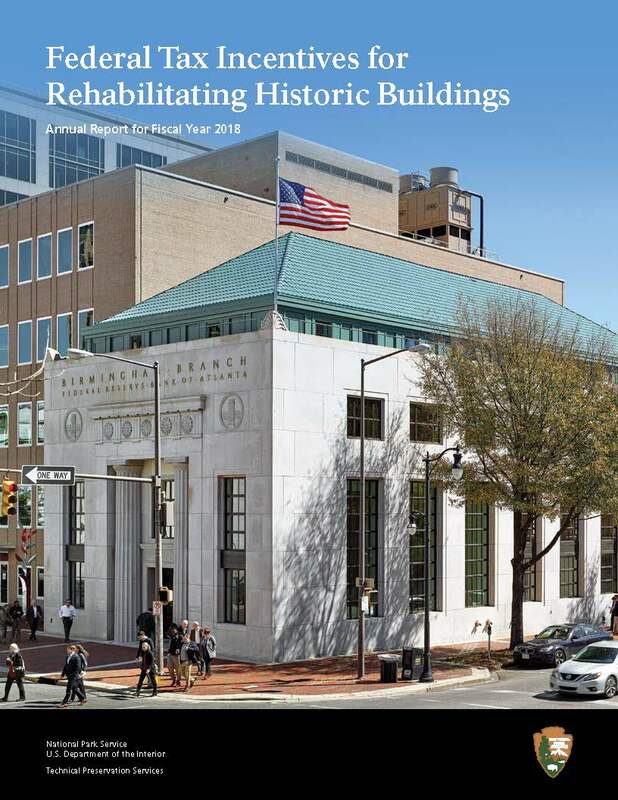 The 2018 Annual Federal Tax Incentives for Rehabilitation Report, listing all Tax Incentive projects by state, is available online. California ranked sixteenth in the nation in terms of certified expenses. For a complete report of 2018 and earlier Tax Credit projects, visit the Certified California Tax Incentive Projects page. Technical Preservation Services has now sync'd their federal tax credit reviewer database with the on-line "Check Project Status" look-up feature and displays the real-time project status information. The link to the Status page can be found in the right column of this page. A letter from the State Board of Equalization of July 2010 summarizes the changes to the new construction exclusion for seismic safety improvements, which can be found under "Local Incentives" on the Incentives and Grants for Historic Preservation page and the Disaster Preparedness Planning page, at the bottom under "Resources". The Safety Assessment Program utilizes volunteers and mutual aid resources to provide professional engineers and architects and certified building inspectors to assist local governments in safety evaluation of their built environment in an aftermath of a disaster. The program is managed by Cal OES with cooperation from professional organizations. Cal OES issues registration ID cards to all SAP Evaluators who have successfully completed the program requirements. Training for this program is now eligible for Homeland Security Grant Program funding. Local free training classes sponsored by CalOES for the disaster Safety Assessment Program are made available on a periodic basis. It will certify licensed architects, engineers, construction managers and others for evaluating properties post-disaster. Non-licensed participants are welcome to attend as well and will be given a certificate identifying them as qualified coordinators. To review which classes are being offered currently, visit the SAP CalOES website. Compare and contrast the ten Secretary of the Interior's Standards as they relate to the four treatments of Restoration, Preservation, Reconstruction and Rehabilitation. Find the fee schedule and application forms below.